Alaskan Fishing Guide Jason Lesmeister stopped fishing for Chinook salmon more than a decade ago. The population, he said, "plummeted" on the Kenai River, his main fishing ground and a watershed renowned for producing enormous Chinooks, also called king salmon. But the fish aren&apos;t just less abundant today. They&apos;re also noticeably smaller. "Now, when people talk about &apos;magnum&apos; salmon, they&apos;re talking about 60-pounders," said Lesmeister, who has been guiding recreational fishers in Alaska for 24 years. "The magnums used to be 80lb [36kg]." He&apos;s hardly the only one to have seen this trend in declining Chinook size. In fact, biologists have studied the phenomenon too, but without drawing clear conclusions as to the cause. Often, salmon fishers—both commercial and recreational—have been blamed. However, new research raises the possibility that the story of why Chinooks are smaller is more complicated than the classic overfishing narrative, illustrating how complex conservation can become once humans throw a natural ecosystem out of balance. Authors of the paper, published in the journal Fish and Fisheries, suggest that increasing populations of northern resident orcas, or killer whales, are selectively eating the largest of the Chinook salmon, contributing to the fish&apos;s shrinking average size. The study, from scientists at the University of Washington, closely documents the gradual disappearance of the largest fish by analyzing size measurements of 1.5 million Chinook salmon dating back 40 years, from the waters off California to Alaska. Over that time, most adult populations have become smaller, up to 10 percent shorter in length, researchers found. The data also showed that the largest Chinook salmon—fish that can weigh almost as much as a person—were once commonplace but are now rare or non-existent. The trend was most pronounced in populations from Alaska&apos;s once-legendary salmon-producing rivers, such as the Kenai, Kuskokwim, and Yukon, where salmon are born before migrating to the ocean and then returning at the end of their life to spawn. 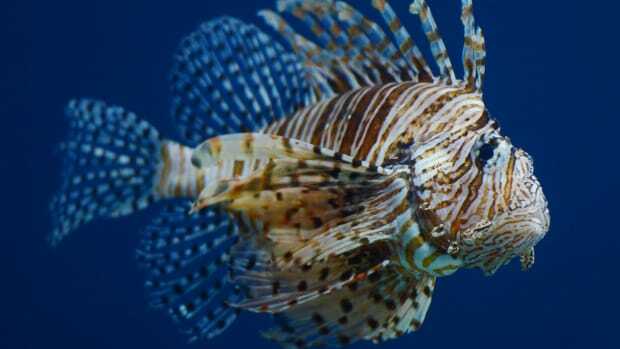 "Those really huge fish that you see in old photos—you simply don&apos;t see them anymore," said Daniel Schindler, a fisheries professor at the University of Washington, and co-author of the study. Although the study didn&apos;t formally test why the largest Chinook salmon are disappearing, the authors—after considering other possibilities, such as climate change and competition between different species of salmon—believe growing populations of resident orcas in the salmon&apos;s northern feeding ground are the most plausible cause. "We don&apos;t have a smoking gun to say it&apos;s killer whales, but it&apos;s the correlation we saw that&apos;s most consistent," Schindler said. 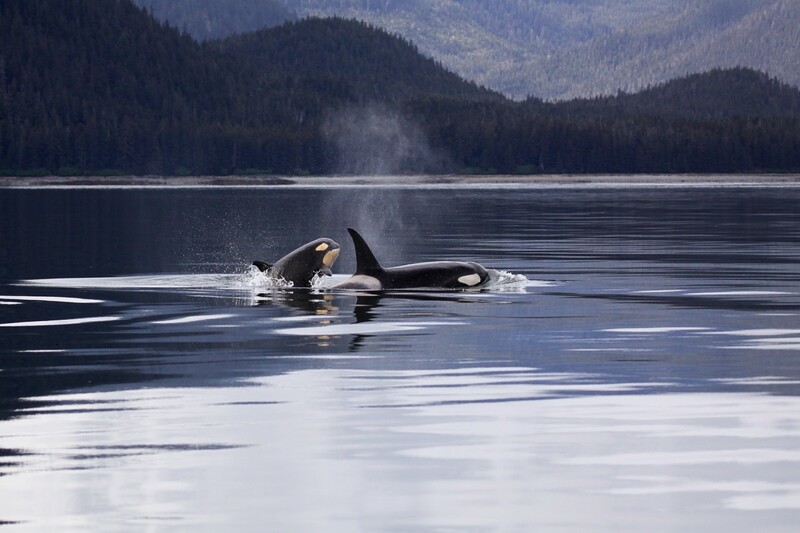 Since the 1970s, according to the study, various northern-living populations of resident killer whales have doubled or tripled, bringing their numbers in the northeast Pacific—prime Chinook foraging habitat in Alaskan and Canadian waters—to an estimated 2,300. Not only do these populations of resident orcas feed almost entirely on salmon, but scientists have documented that they tend to target the biggest Chinook salmon they can find while practically ignoring younger, smaller fish. Meanwhile, salmon size and age have decreased at the same time as fishing restrictions have tightened and reduced the overall harvest, which would seem to rule out fishers as a factor. The study itself drew no clear conclusions, however. If, in fact, orcas are the reason why Chinook salmon size is decreasing, it raises a variety of questions about how these two species related in the past and what can be expected of salmon size and abundance in the future. Although these questions may not be answered for some time, they also do shed a little light on humans&apos; limited powers as ecological stewards. 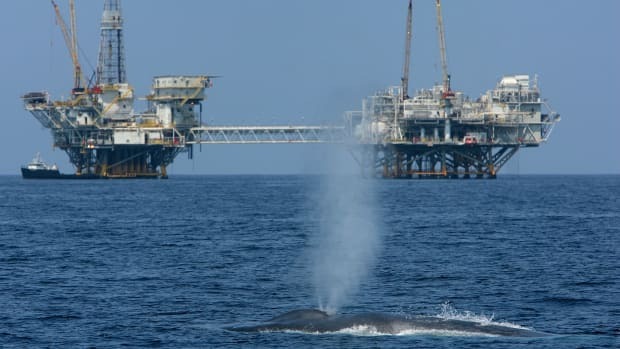 "We as humans struggle to even do effective single-species management," said Cascadia Research Collective biologist John Calambokidis, who was not involved in the new research. "Now, as we look at ecosystem interactions between species, we find we&apos;re still in the infancy of understanding how those species interact with each other. There are so many dynamics between predator and prey that we don&apos;t recognize or understand." It may also mean that long-term conservation objectives for salmon could conflict with those for their predators, especially marine mammals. Today, salmon runs have declined dramatically in the southern extent of their range in Washington, Oregon, and California. In these areas, a great deal of the fish&apos;s freshwater spawning habitat has been lost, causing many coho and Chinook runs to vanish and leaving others critically endangered. In many river systems, hatcheries are necessary to maintain populations. While efforts, such as dam removals, are underway to save threatened runs, some researchers have predicted that global warming and habitat loss will all but eradicate North American salmon south of Canada. So it may be no coincidence that southern resident killer whales—a distinct population from the northern resident whales that live off the coasts of Oregon, Washington, and British Columbia—have dwindled to just several dozen animals and are listed as endangered. So important are salmon to southern resident killer whales that the National Marine Fisheries Service has warned that declining Chinook populations could threaten their existence. This has happened while the resident killer whales farther north in the Gulf of Alaska have grown in number, possibly due to local increases in total salmon abundance. "People tend to have these conservation goals where everything is abundant, and that just may not be possible," Schindler noted. "Populations of predators and prey are constantly responding to each other, and if orcas have caused this, it could change some people&apos;s views on what they want from conservation efforts." Concerns over marine mammals preying on salmon, especially from populations already depleted by humans, are nothing new. 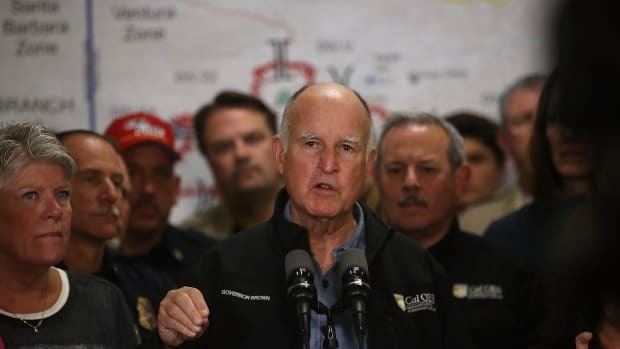 For example, from 2008 through 2016, Washington State officials killed or relocated 161 California sea lions that had become habitual hunters of imperiled salmon and steelhead that seasonally gather during upriver migrations below the Bonneville Dam on the Columbia River. The California sea lion population has exploded in the past 80 years, while many salmon runs have concurrently floundered. Harbor seal numbers have also boomed, and in some coastal areas these predators prey heavily on juvenile salmon, many just months old and inches long. Last year, research published in Nature found that, between 1975 and 2015, the mass of Chinook salmon eaten by marine mammals had more than doubled. However, not everyone agrees with the idea that killer whales are driving the disappearance of large salmon. "I have a feeling the size of the salmon started to diminish before the killer whale populations came up," said Jacques White, executive director of the Seattle-based salmon conservation group Long Live the Kings, who did not contribute to the new paper. "I think it would be irresponsible to blame orcas with so little evidence," he said. "I still think ocean fisheries have been a more constant pressure over the last 40 years, though I don&apos;t have the numbers to back that up." Fishing guide Lesmeister also isn&apos;t convinced. He says he noticed salmon starting to get smaller a little over a decade ago—right about when he noticed an uptick in commercial fishing pressure on Kenai Rriver Chinook. "Word really started getting out that ocean kings are the best, fattiest salmon there is," he said. "Commercial fishermen who still fish say they only catch a couple of kings per year, but guys who&apos;ve retired will tell you they caught 15 per day," Lesmeister said. There have been studies that show a general link between salmon fishing and their decreasing size, such as a study published in 2008 in the journal Evolutionary Applications. In a 2015 paper published in PLoS One, the authors—among them Bert Lewis, an Alaska Department of Fish and Game scientist who contributed to the new research—discussed decreasing sizes of Chinook and stated that "size-selective harvests have undoubtedly led to downward shifts in age and size of some species of salmon." 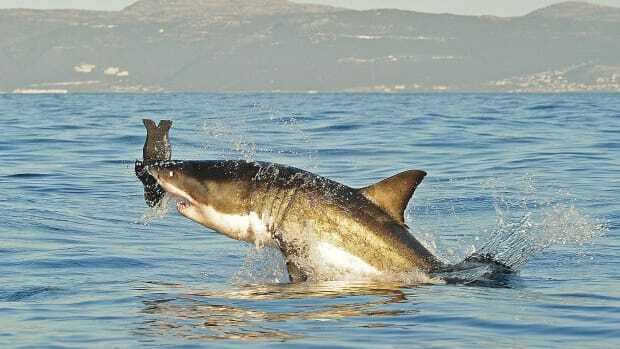 Another untested hypothesis, White suggests, is that salmon sharks, a smaller fish-eating relative of the great white shark, could be responsible for the trend. Salmon shark numbers, White said, have also been growing. The fact is that Chinook salmon have co-existed with all of their predators for millennia, and the fish were likely more abundant and bigger in the past, even when sharks and killer whales were also almost certainly more numerous. Or maybe, White suggests, Chinook salmon weren&apos;t especially large in the past—at least not always. Chinooks&apos; average size and abundance may have historically gone through cycles, rising and falling in direct response to pressures from predators, whose own numbers may have cycled up and down, he said. "Under that scenario maybe the salmon would start growing to larger body size again when predation is relaxed," White said. Calambokidis, however, thinks it&apos;s possible that a growing orca population is limiting Chinook size uniquely in more recent times. He pointed out that humans have depleted most salmon runs from historical levels. 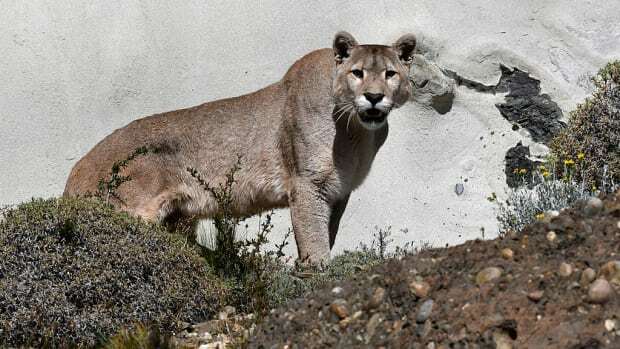 This, he suggested, has made them more susceptible to native predators, whereas in a more natural state the two species might co-exist with greater balance. "The potential for killer whales having this kind of effect on salmon is more plausible when we consider that salmon numbers have been reduced already, mainly from the loss of spawning habitat," he said. 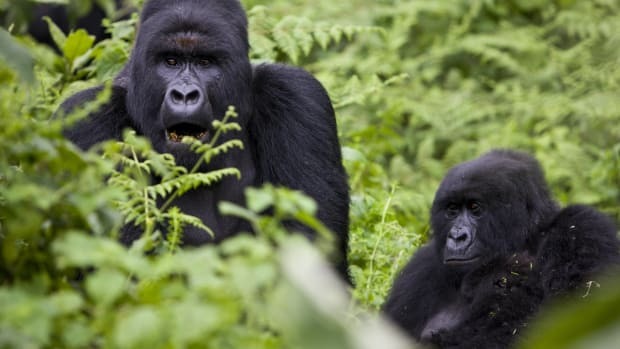 As global warming forces farmers in northwestern Rwanda to move to higher elevations, the fragile gorilla population will be put more at risk.